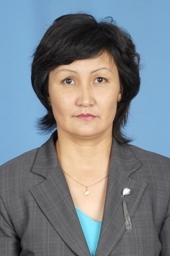 In 1993, she graduated from the mathematics department of Karaganda State University. Since 2002 works as a teacher in the department of higher mathematics at KSTU. In 2010 she defended her thesis. He has more than 20 scientific publications.